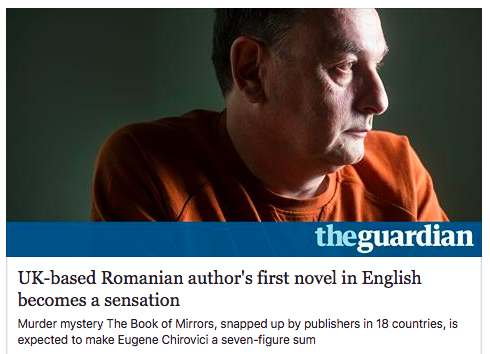 After almost a year away from my blog, I make a come back, inspired by an amazing piece of news seen in the media these days: after moving to the UK, Romanian author’s first novel in English becomes a sensation! I do not know much about Eugen Chirovici, but what I draw from his story is that it is important to stay hungry – because this makes us to always be on the look and improve ourselves and our skills -, to stay open – because no matter the age or the situation we are in, there is always space for improvement and we always have a choice for a change – and to never ever give up on yourself! No matter your dream, it is always better to pursue it and risk to fail at fulfilling it, rather than fail at what you don’t care about! Never give up on your passion! ← How can batik improve your life?